Pet adoption is both heartwarming and exciting but the adopting person or family needs to be well-prepared for this experience. The shelter animals have become used to the shelter routine; thus, patience is a key element when the pet goes to its new home. The animals have become conditioned to certain shelter activities (feeding, walks, etc.) at certain times; some pets will adjust more readily to a new routine than others, so patience is of utmost importance. If the pet’s name has been changed, it may take a while for the pet to adjust to the new sound. Repeat the name often so that the pet will become accustomed to hearing it. Even if the name is not changed, the name should be used a lot so that trust and bonding can take place. The pet’s name should not be used as part of a scolding. It would be better to say, “Bad dog” or bad cat,” rather than “Bad Fido” or Bad Fluffy”. Housebreaking some dogs is more difficult than housebreaking others. Again, patience is needed. This particular training involves a great responsibility for the new owners(s). If the housebreaking raining is to be successful, the dog must be let outside on a fairly regular basis until it learns that is no longer can relieve itself on newspapers, linoleum, concrete, etc. The dog is not to be blamed for an accident if the caretakers do not let the dog outside often enough. Cats from the shelter have been trained to a litter box but they still need to be made aware of where the litter box is located and must have constant access to it. The first day at its new home, the cat should be placed in the litter box several times so that it will become familiar with its location. It might even be a good idea on the first night at its new home to leave the cat closed in the room where the litter box is located. If there are other pets already in the home, it may take a while for bonding or tolerance to take place. Again, patience is needed. Oftentimes, cats are less quick to bond or tolerate than dogs are. Given time and understanding, most cats will eventually at least tolerate one another. Pet owners should avoid giving up on their pets too soon. Pets are quite patient with humans. There are so many things that pets cannot easily tell us but they are patient enough to wait until we somehow get the message. They do not shun us or dislike us or disown us or punish us because of it. They give us their unqualified love day after day. Pets are not always perfect; neither are human beings. 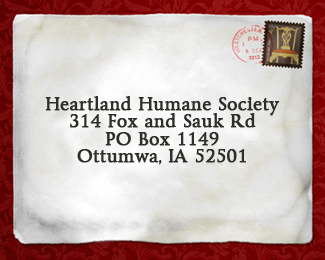 This brief letter cannot possibly speak to all of the potential situations that might arise.If any help or advice is needed with the adjustment of your new pet, please contact the shelter. Either the manager or any of the Board Of Trustees members will be more than happy to talk with you. Patience is the key. The result will be a lifetime bond of love and loyalty between you and your pet. God bless all creatures great and small.